Isa Blumi (PhD, 2005 NYU) is Associate Professor at Stockholm University’s Department of Asian, Middle Eastern and Turkish Studies. 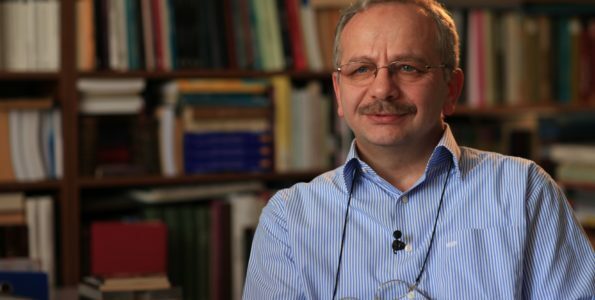 Having just finished his latest book Destroying Yemen (University of California Press, 2018), which accounts for the recent violence in South Arabia by situating it in a global context, Dr. Blumi intends to continue offering analysis of the late Ottoman Empire as a global phenomenon. Advocating for appreciating the comparative value of pairing events in diverse corners of the empire (the Balkans, Yemen, and Persian Gulf), his earlier books Ottoman Refugees (Bloomsbury, 2013), Foundations of Modernity (Routledge 2012), Reinstating the Ottomans (Palgrave, 2011), and Chaos in Yemen (Routledge, 2010) all made similar theoretical and methodological pleas to scholars to look beyond specific Area Study genres. Dr. Blumi has taught at universities in Belgium, UAE, USA, Canada, Germany, Albania in addition to his current posting. The brutal destruction of Yemen continues with little debate in the larger world. Not surprisingly, accountings for the violence, justifications for its virulence and duration, and the strategic obfuscations of what could end it regularly evoke Islam. In almost all iterations of this largely heartless accounting for Yemen’s destruction, the representations of Islamic heritages in South Arabia are strategically inaccurate if not deliberate untruths. Far from being the animating factor in determining the contours of conflict in Yemen today, the dynamic, diverse, and complex ways in which Yemen’s varied Muslim communities experience life, prior to war and now under such horrible conditions, warrants a revisiting of the scholarship. Not intended to be an exhaustive survey, the following only suggests a sampling of the scholarship that moves beyond the periodic interest Western academia and its funding agencies have in Yemen’s Islamic heritages. Perhaps more so than any other part of the larger Middle East and North Africa (MENA) region, Yemen’s open embrace of the larger world both commercially and culturally, includes an expression of faith that is resistant to narrow characterizations. As such, the present interest in Islam in Yemen requires mediation with the emphasis on the diversity, historic depth, and global affiliations of Yemeni Muslims. The quality of these connections moving through economic, social, political and theological filters make for deep, intercommunal, interfaith exchange. Fortunately for us, being so unflinchingly engaging has meant Yemenis allow outsiders –scholars and novices alike –to gain access to what elsewhere are segregated and exclusive spiritual spaces. In this regard, Yemen’s complex spiritual dynamism has been documented in some unique studies that should be for the uninitiated–especially those who justify war on Yemen’s peoples –crucial reading. Perha ps the best approach to take when designing such a list is to start with the critical engagement some scholars have taken in respect to the numerous schools/traditions found still vibrant in North Yemen well into the twentieth century. As this is the region today targeted as anatomically hostile to the rest of Arabia (and presumably the rest of the Islamic world) on account of a misrepresented (“Shi‘a”) Zaydi heritage, the first group of works best exemplify the diversity and inter-doctrinal traditions long informing a region extending from the ‘Asir (occupied by Saudi Arabia since the 1930s) to the central highlands in North Yemen. 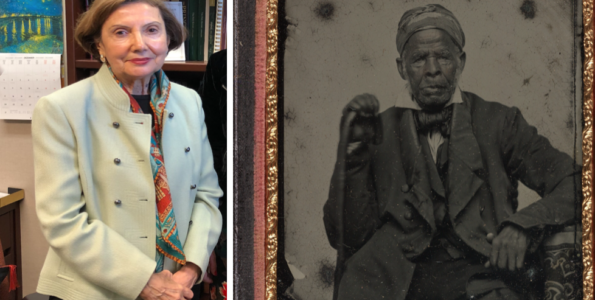 The best place to start is the soon-to-be released, long-awaited ethnography of Yemeni scholarly (and legal in particular) practices by Brinkley Messick based at Columbia University. Concerned throughout his career with the production of and then scholarly engagement with texts, Messick reflects on the relationship between authority (as claimed and deferred) and the writing of Islamic law. In his forthcoming manuscript Shari‘a Scripts (2018), Messick is purportedly taking his incisive analysis of the practice of writing (as an important compliment to reading/learning) in highland North Yemen to account for how much shari‘a remained a localized and organic, as he would highlight, living experience for Yemenis. Distinguishing between what are constantly modifying, experienced texts taking the form of theoretical or doctrinally informed juridical scripts and those produced in shari‘a courts by the bureaucrats of these courts during the imamate in the early twentieth century, Messick will likely remind us of the importance of the scholar as reader. In the interpretive exercises that shed new insights into how societies like those in North Yemen remained resiliently “traditional” and thus reflexive, dynamic, and adaptive, the role of the reader – both those studied, and the anthropologist –is evident. If for nothing else, Messick’s work promises to reestablish some historic foundation to indigenous Yemeni institutions and traditions. Rather than caving to the rationalization of Islamic “Law” as a mere instrument of powered interests (as recently revealed in Iza R. Hussin’s  study), Zaydi muftis and imams thrived as mediators of daily life and the practice of the laws they either enforced or over which they debated with others. I just completed a manuscript titled Destroying Yemen (2018) that, in part, explores this struggle against the “modern” state increasingly objectifying various indigenous practices, including Islam. Challenging the seemingly clear-cut juxtaposition between a tradition and modern forms of state practice, as played out until at least 1962 when North Yemen witnessed the destruction of the imamate and the imposition of the Cold War into the day-to-day experiences of this pluralistic society, I certainly would have profited from Messick’s latest insights. 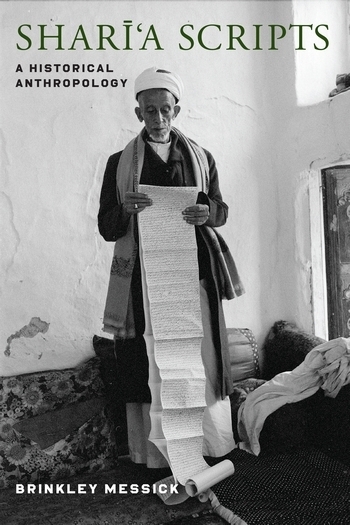 Already benefiting from his rich legal anthropology in his first master work Calligraphic State (1993), a study that explored the ways in which the different domains of writing and authority modified into hybrid (and thus not entirely subjugated “non-traditional” or “modern”) practices of keeping records as North Yemen, it is necessary to provide a genealogy of how Yemenis adapted to change in the twentieth century. As Messick highlighted the nature of North Yemen’s transformation from Ottoman province, independent imamate, to Republic after 1962, we are reminded again by his latest work in Shari‘a Scripts that reading,, writing, and of course interpreting Islamic laws proves to be constantly mediated. In so making these important assertions in new ways, Messick warns us not to understand doctrinal transformations as teleological and that changes necessarily means the indigenous, say Zaydi, traditions are not mere artifacts of the past bound to be usurped by “modern” forms of Islamic practice. As such, Messick’s continued instructions to others on how to read hybridity in the daily practices of Yemenis (and Muslims more generally I would surmise), may help us contextualize the late twentieth century drive in many intellectual and political circles throughout Arabia to impose a narrative of Zaydi doctrinal irrelevance. 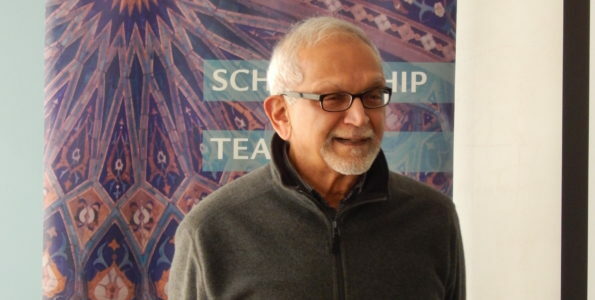 I would suggest the constant effort in Saudi/Qatari funded scholarship to both marginalize the historical role of rival doctrinal and legitimizing traditions, be it affiliation of some to the Quraysh, association with Ahl al-Bayt more generally, or various Sufi traditions historically present in Arabia, should give us pause when confronted with assertions that “Islamic revivalism” or “contemporary Islam” necessarily delegate non-Salafist, “traditional” practices to history. Indeed, as a useful compliment to this largely historical anthropological work on Zaydism in the early twentieth century, the work of Bergen based scholar Anne K. Bang (1996) on the Idrisi state can highlight how diverse theocratically the long-contested region of the ‘Asir and Sa‘adah provinces remained well into the twentieth century. With this historic complexity identified as virulent and entrenched, it becomes more apparent what is the agenda behind attempts to marginalize the legacy of these traditions. Perhaps even more crucial in the context of the current war is the apparent “Zaydi revival” initiated by, some would suggest, the al-Huthi clan, leading to a social and political movement based on old Zaydi practices that again threatens Saudi hegemony (Brandt 2017). In the context of an overt campaign evident in Saudi sponsored bookshops and cassette/CD stalls throughout Yemen that until recently pushed the narrative of Zaydi theological marginalization, emerged an important study from Oxford-trained Bernard Haykel (2003). Exemplifying a wave of scholarship that sought to situate the rise of Saudi Wahhabism in a larger (problematic, ahistorical) frame of “modernization”, Haykel’s underlying claim is that the doctrinal transformations mirroring the demands of Salafist reforms during the nahda decades later was already being articulated in the work of the mujtahid Muhammad bin ‘Ali al-Shawkani’s apparent polemic with Zaydi traditions. As qadhi a l-qudhah in Sana‘a’ from 1795 to 1834 on behalf of various Zaydi states, this “revivalist” or mujaddid, marked an apparent defiant and even revolutionary shift away from old entrenched (and thus conservative, unbending, and anti-modern) Zaydi traditionalists. In what may be read as counter-intuitive, revisionist scholarship, Haykel provides proof of intellectual associations future generations of “reformists” scholars made with al-Shawkani’s selected works (those fitting the argument, and useful to Saudi narratives that have been reproduced in handsome volumes by Riyadh). Ostensibly linking a long line of recognized “reformists” with this Yemeni scholar/judge, marks a useful point of departure for Zaydi marginalization in Arabia. In effect, despite the suggestions from Messick that Zaydi practices were very alive and well until 1962, Haykel’s selective uses of some of al-Shawkani’s works and the few contemporaries who briefly refer to him, seem to mark an end to Zaydi intellectual/legal hegemony in North Yemen. That such a transformation corresponds to when the Ottoman Empire (and presumably modern Sunni practices) reentered South Arabian affairs in the 1830s makes for intriguing possibilities that await a PhD dissertation. More crucial for our purposes, however, is the suggestion that there is historical support for what Saudi apologists since the rise of the post-Ottoman state and its expansion into much of Arabia have long sought in the form of legitimacy among Muslims. 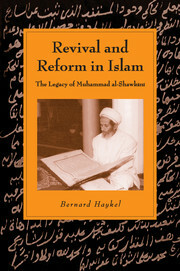 Haykel’s work promised to provide, by way of his selective reading of some of al-Shawkani’s work, that from as far back as the early nineteenth century and, more importantly since the 1950s, came an early supporter from an otherwise hostile “Zaydi” stronghold for the kind of modern Islam Saudi-backed doctrines now claim to reflect. Alas, as Messick’s work clearly challenges, this conclusion that Zaydi traditions were rejected by the nineteenth century is anachronistic at best. What Haykel’s invaluable labors likely reflect is the recent revival of al-Shawkani in Saudi Arabia, a state eager to make the revisionist historical claim that Salafist “modernism” is organic as much as ideally suited for the twentieth century. The ideological necessity for knowledgeable scholars in Yemen to logically gravitate to Sunni Hanbalism (in other words Saudi state-backed doctrines) and organically render Zaydism intellectually extinct constitutes a long-term propaganda campaign replicated throughout the world. This is why one can find those works of al-Shawkani specifically denigrating Zaydi traditions so readily available in Saudi bookshops and Islamic centers throughout the world. The problem is, through the work of Messick and others, we see that the same institutional and doctrinal traditions associated with a Zaydi heritage that al-Shawkani’s work seemingly relegated to the dustbin of history, actually endured well beyond World War II. As Haykel introduces al-Shawkani to an English-speaking audience, he is certainly right to characterize as critical the qadhi’s polemic with what was reportedly a tendency for taqlid among his Zaydi contemporaries. In this frame it seems “logical” that any “forward” thinking intellectual would want to reject those who, at least it is suggested in some cases during al-Shawkani’s life, were simply following a mujtahid without consulting the “essential” texts required to make any legitimate legal interpretation. While a now often repeated accusation, it is perhaps inaccurate for our current generation to retrospectively apply such (selective) laudatory references to “revivalists” such as al-Shawkani, an apparent defector from Zaydi tradition. The apparent impact of such challenges to a suggested Zaydi orthodoxy is more likely reflective of post-World WarII politics and not those of the era (Farquhar 2016). Al-Shawkani did, after all, serve four different Zaydi imams, spiritual leaders not impervious to the legal/class polemics of the period. The fact that al-Shawkani’s anti-establishment (Zaydi) material works are available in the selectively edited versions published in Saudi Arabia is not mere coincidence. Far from being his only body of work, most of which is not engaged in this character assassination of his jurist colleagues. One must wonder, then, if the polemic we are asked to accept as an accurate reflection of his importance to reformers throughout his era is itself part of our current investment into identifying “Zaydi defectors” over the post-World War II period. It may just be that as Saudi Arabia continues to seek to reign supreme over Yemen, we need some appreciation for the context of any scholarly revisit of al-Shawkani’s, or more generally Salafist polemic with Zaydi, Sufi, or Isma‘ili traditions found throughout Yemen. This issue in the literature reflects a larger process of rapidly changing historiography that follows the demise of the imamate in 1962. This era, which continued until the outbreak of the present war in Yemen, not only would see the rise of retrospective histories written to uniformly defile the Hamid al-Din dynasty that was removed from power and replaced by the Yemen Arab Republic, but also reflects a dramatic turn of fortunes for specifically targeted members of the Prophet Muhammad’s descendants throughout the world. In North Yemen the campaign to delink associations with Ahl al-Bayt with political legitimacy translated since the 1960s into a number of important personal and collective modifications in the way people connected with the past, present and aspired in the future. Therefore, the so-called “revivalism” that has been celebrated as the death knell to Zaydism and thus reaffirming Saudi authority over, not only the administration of Mecca/Medina, but indeed “Islam,” also has critical social consequences in North Yemen. 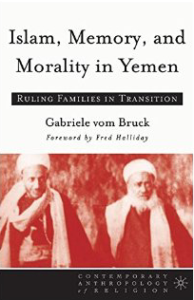 These transformations have been studied by Gabriel vom Brock (2005) whose work proves a crucial addition to any reading list on Yemen. 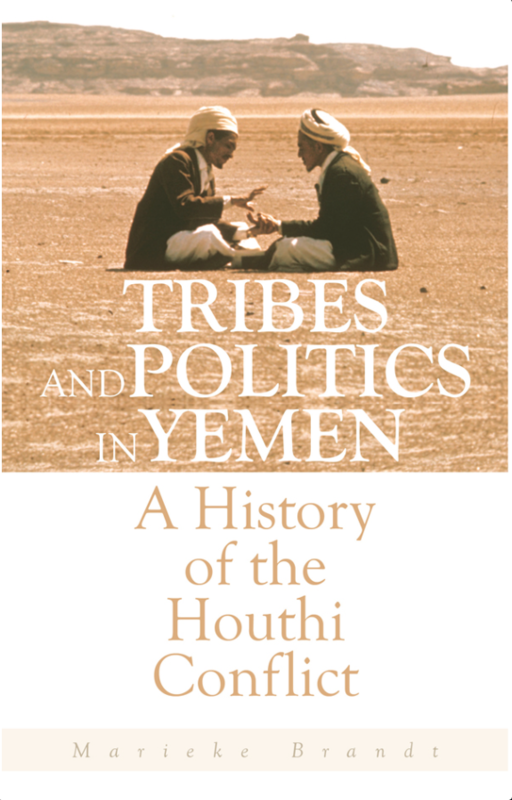 While perhaps outdated by the events that led to the revitalization of a Northwestern political orientation that embraces Zaydi traditions under the so-called Huthi family leadership in the 1990s and AnsarAllah party today, vom Brock’s study is still crucial for it brings some appreciation for the divergent fate of members of a once privileged class of North Yemenis who today fight the Saudi-led coalition. Faced with a sudden shift in fate since the 1962 “revolution,” the open vilification of the old Hamid al-Din dynasty extended to most members of this once elite sada class of Yemenis found both in the North and South. Vom Brock’s book is a brilliant study of the cultural politics of memory among these elites who faced the adversity of new political realities. Clearly, as notions of the law as practice and experience transform, so has the identity politics of a new social order influence the way people position themselves both politically and culturally.The trajectories of Yemeni sada in the twentieth century serves yet another crucial, and equally brilliant ethnography, this time located in Tarim in the Hadhramawt of South Yemen. Enseng Ho’s (2006) study accesses through different ethnographic methods the consequences of Hadhrami sada’s global dispersal initiated centuries earlier. Driven by ambitions for expanding trade, perhaps political persecution, but always with an eye for the Tarim homeland, Ho demonstrates how migration not so much alienates Hadhrami sada as it informs in complex ways their reflective iterations of association with their homelands. 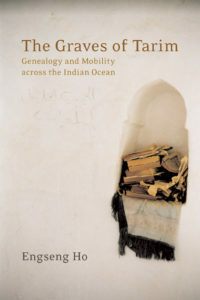 By way of his complex reading into genealogies and hagiographies that themselves have specific value not only in Tarim, but also in the regions – the Malay and Indonesia Archipelagoes, East Africa, and India – hosting these diasporic Yemeni sada, the complicated negotiations with the transformations afflicting the larger Islamic world come to play in truly unique ways. These processes of negotiating often indigenous, or foreign-induced transformations have important imprints on Yemeni Islamic practices, as also studied in the past through similarly itinerate Alawis who ventured to East Africa (Bang 2004). As much as Hadhrami sada families confronted the visceral polemics of “reformist” trends in the early twentieth century (Knysh 1997) we note in Ho’s study an observation on how tradition is confronted by the new iterations of a foreign set of practices today associated with global takfirism and (imprecisely) Salafism. It is noteworthy that the families involved are keen on preserving their strong associations with the prophet’s family, the interfamily marriage strategies that at once seek to retain tradition and also consciously seek to confront the expansive, some would say popular forms of Salafist doctrine that, in the hands of Saudi/Qatari paid preachers, specifically target those families claiming affiliation to Ahl-al-Bayt on behalf of patrons whose own lineage does not enjoy such legitimacy. As such, Ho’s close ethnography that spans continents undermines the generic narrative pitting Shi‘a against Sunni while also reinforcing the global dynamics to the politics of tradition as they play out in specific corners of Yemen. Such dynamics are at play throughout Yemen still today, an appreciation offered by Laurent Bonnefoy’s (2012) work that covers an area within the immediate neighborhood of Tarim, but specifically addressing the misrepresentation of Salafist traditions as itself being uniform and doctrinally rigid as its adherents confront Hadhramawut’s sada families. With his extensive period of research in an area incorporating Tarim and Yafi’, Bonnefoy questions the normative Salafist doctrine presented in the literature today and identifies very distinct approaches to engaging the politics of Yemen over the volatile 2000s. Far from serving the interests of Saudi patrons, who did fund considerable infiltration into Yemen by way of returning Yemeni migrant laborers indoctrinated in Saudi-funded madrasa, Bonnefoy found an indigenous challenge to this largely foreign Salafist doctrine that stressed overt conflict with neighboring Zaydi, Sufi and sada-led communities. After studying recorded sermons and interviewing many of the leading members of the community formed around shaykh Muqbil al-Wadi’i (d. 2001), Bonnefoy tells us that in Yemen, perhaps till today, remained very distinctive constituencies, many unwilling to revert to violence towards perceived misguided others. Reflective of the varied conditions in which Yemeni faithful found themselves as economic and political conditions changed, thanks to Bonnefoy’s work we have the necessary complexity to appreciate why no two so-called Al-Qa‘ida/takfiri/Salafist groups mentioned today in the context of the war in Yemen are alike. There are, indeed, very different factions who are actually facing very different kinds of violence today and perhaps even reflect the deeper rivalry at play between Qatar, Saudi Arabia and the UAE over which foreign interest secures the oil/gas assets on offer in Southern Yemen. In short, as I highlight in my latest book (Blumi 2018), what is destroying Yemen today is not a product of internecine, Yemeni violence but an entire foreign induced invasion, often using as a pretext a misrepresented Islamic heritage that these cited works should help correct. Anne K. Bang, The Idrisi State in Asir 1906-1934: Politics, Religion and Prestige in Arabia (London: Hurst Publications, 1997) ISBN: 9781850653066. Anne Bang, Sufis and Scholars of the Sea: Family Networks in East Africa, 1860-1925 (London: Routledge, 2004). 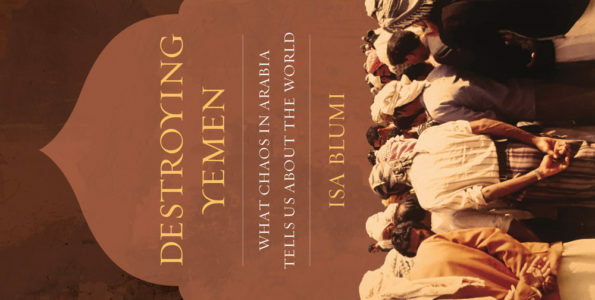 Isa Blumi, Destroying Yemen: What Chaos in Arabia Tells Us About the World (Berkeley: University of California Press, 2018). Michael Farquhar, Circuits of Faith: Migration, Education, and the Wahhabi Mission (Palo Alto, CA: Stanford University Press, 2016). Alexander Knysh, “The Sada in History: A critical essay on Hadrami historiography,” in Journal of the Royal Asiatic Society (JRAS), London, vol. 9/2 (1999), 215-222. — “The Cult of Saints and Religious Reformism in Early Twentieth-Century Hadramawt,” in New Arabian Studies, vol. 4 (1997), 139-167.